In Bangladesh indigenous poultry have been kept by rural communities for many generations. This custom is likely to continue and remain popular in rural areas. The rural poultry systemrelies on minimal input of resources. Although secondary to other agricultural activities, rural poultry rearing plays an important role in providing the rural population with a substantial income and high quality protein. Almost every rural family keeps small flocks of indigenous domestic fowl and ducks under a backyard management system. Although indigenous poultry are poor producers of eggs and meat, they are hardy and thrive well in the harsh rural environment and some varieties have a superior genetic constitution which has not been fully explored. Poultry sheds in rural areas are made of local materials, birds are fed with household wastes, and most of their time is spent in scavenging. There is no systematic breeding programme and close inbreeding occurs among indigenous stocks. 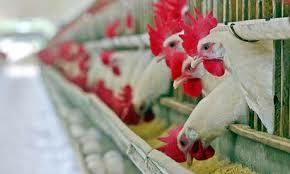 Shortage of feed and a high incidence of diseases are the main constraints to rural poultry development. In spite of such constraints, poultry production in the country will continue to grow in response to an increasing demand for eggs and poultry meat. In this regard the wider availability of reliable advice would be of enormous benefit. Family poultry is rarely the sole means of livelihood for the family but is one of a number of integrated and complementary farming activities contributing to the overall well-being of the household. Poultry provide a major income-generating activity from the sale of birds and eggs. Occasional consumption provides a valuable source of protein in the diet. Poultry also play an important socio-cultural role in many societies. Poultry keeping uses family labour, and women (who often own as well as look after the family flock) are major beneficiaries. Women often have an important role in the development of family poultry production as extension workers and in vaccination programmes. Indicative production levels for the different systems are summarized in Table 1.4. In Africa, Asia and Latin America, 80 percent of farmers keep poultry in the first two extensive systems. Under free-range conditions, the birds are not confined and can scavenge for food over a wide area. Rudimentary shelters may be provided, and these may or may not be used. The birds may roost outside, usually in trees, and nest in the bush. The flock contains birds of different species and varying ages. Poultry are housed at night but allowed free-range during the day. They are usually fed a handful of grain in the morning and evening to supplement scavenging. These are a combination of the extensive and intensive systems where birds are confined to a certain area with access to shelter. They are commonly found in urban and peri-urban as well as rural situations. In the “run” system, the birds are confined in an enclosed area outside during the day and housed at night. Feed and water are available in the house to avoid wastage by rain, wind and wild animals. In the European system of free-range poultry keeping, there are two other types of housing. The first of these is the “ark” system, where the poultry are confined overnight (for security against predators) in a building mounted on two rails or skids (usually wooden), which enable it to be moved from place to place with draught power. A typical size is 2 × 2.5 m to hold about 40 birds. The second type of housing is the “fold” unit, with a space allowance (stock density) for adult birds of typically 3 to 4 birds per square metre (birds/m2), both inside and (at least this) outside. The fold unit is usually small enough to be moved by one person. Neither of these two systems is commonly found in developing countries. Deep litter system: birds are fully confined (with floor space allowance of 3 to 4 birds/m2 within a house, but can move around freely. The floor is covered with a deep litter (a 5 to 10 cm deep layer) of grain husks (maize or rice), straw, wood shavings or a similarly absorbent (but non-toxic) material. The fully enclosed system protects the birds from thieves and predators and is suitable for specially selected commercial breeds of egg or meat-producing poultry (layers, breeder flocks and broilers). Slatted floor system: wire or wooden slatted floors are used instead of deep litter, which allow stocking rates to be increased to five birds/m2 of floor space. Birds have reduced contact with faeces and are allowed some freedom of movement. Intensive systems of rearing indigenous chickens commercially is uncommon, a notable rare exception being in Malaysia, where the industry developed in response to the heavy demand for indigenous chickens in urban areas (Supramaniam, 1988). However, this accounts for only two in every 100 000 (0.002 percent) of that country’s indigenous chicken. The above management systems frequently overlap. Thus free-range is sometimes coupled with feed supplementation, backyard with night confinement but without feeding, and poultry cages in confined spaces (Branckaert and Guèye, 1999). Over the last decade, the consumption of poultry products in developing countries has grown by 5.8 percent per annum, faster than that of human population growth, and has created a great increase in demand. Family poultry has the potential to satisfy at least part of this demand through increased productivity and reduced wastage and losses, yet still represent essentially low-input production systems. If production from family poultry is to remain sustainable, it must continue to emphasize the use of family labour, adapted breeds and better management of stock health and local feed resources. This does not exclude the introduction of appropriate new technologies, which need not be sophisticated. However, technologies involving substantially increased inputs, particularly if they are expensive (such as imported concentrate feeds or genetic material) should be avoided. This is not to say that such technologies do not have a place in the large-scale commercial sector, where their use is largely determined by economic considerations.